So your friend/cousin/sister is getting married. And you’ve got a dilemma. Actually, you probably only have a dilemma if you’re the type of person who hates being told what to do. And that’s because you can’t stand buying wedding gifts off of a registry. Where’s the fun in that? It’s not that you don’t want to give people what they want. It’s just that you think a gift should be something a little surprising. You want it to be something the recipient didn’t know they wanted until they got it. So if you’ve gone registry rogue, we’ve got a wedding gift idea for you. A Print on Plywerk is the best wedding gift that you probably won’t find on a registry. At Plywerk, we can take any JPEG and transform it into an elegant piece of art. That means you can turn a beautiful memory into a beautiful wall hanging. Give the happy couple a photo that will bring a lifetime of memories. And you probably think it’s going to be a lot of work to give a gift this thoughtful. Well, you’re wrong. We’ll be doing most of the heavy lifting here at our Portland studio. All you have to do is provide an image, select a panel, and choose your size. That’s all it takes to create a very personal and eco-friendly wedding gift. It’s the perfect way to showcase a memory. It’s simple and elegant. Who needs a frame and glass? And if that still sounds like too much work, or you just can’t find the perfect photograph, you can always go the gift certificate route. A Plywerk gift certificate is another great wedding gift that the happy couple will certainly have a use for after the wedding. They’ll have pictures. Oh they’ll have pictures, alright. Everyone loves a gift certificates. You’ll feel good about giving a Plywerk wedding gift. And in the end, your friends will be glad that you didn’t get them a quesadilla maker. This entry was posted in Photo Mounting, Photo Panels and tagged best wedding gift, eco-friendly wedding gifts, gift certificate, Plywerk, Prints on bamboo, prints on wood, unique wedding gift ideas, wedding gift ideas, wedding photography on November 29, 2013 by admin. So you think you don’t have time for any DIY projects. Well, you might be right. You’re probably a very busy person who would prefer that people other than yourself take over the “doing.” Because really, who are all these people making all these fancy crafts that you see on the Internet? We have no idea, but we do know that there are plenty of quick and simple ideas too. So busy people, rejoice. You too, can do. And a good place to start doing is a quick bamboo tile mosaic. An easy DIY tile mosaic is just the sort of thing to get your feet wet. Don’t be scared off by the “mosaic” part. You don’t have to smash any of your dishes or devote all your free time to collecting tiny bits of sea glass. This is a pretty simple spin on a mosaic. Sara W. got creative and used a bamboo Plywerk blank panel to mount tiles from the historic Pewabic pottery in Detroit (www.pewabic.org) using liquid nails adhesive. All you’ll really need are a few nice tiles, a strong glue, and a fine piece of wood. 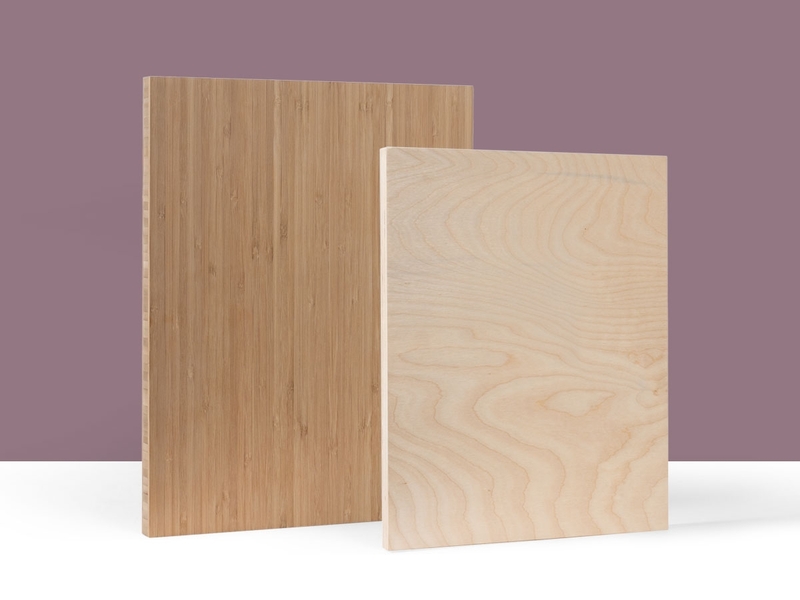 Arrange the tiles of your choice on a Plywerk blank bamboo panel, and you’ve got yourself an original piece of art. Our beautiful sustainable bamboo is the perfect background for anything that deserves a nice showcase. But what if you’re a total DIY novice? Will you be able to do this? And do it yourself? Well, if you can glue tiles to wood, the answer is a resounding ‘yes.’ It’s going to look good and it’s going to feel good. Your custom tile mosaic will be a great addition to any room in your house. Ray Briggs got crafty with these unique tiles on one of our beveled bamboo panels. So next time you’re wandering around a home improvement store or an antique shop, keep your eyes open for some awesome tiles so you can get glueing. It’s fun! It’s easy! It’s like the grownup equivalent to macaroni art. This entry was posted in DIY and tagged Bamboo art panels, bamboo wall art, blank wood panels, craft project, DIY projects, DIY tile mosaic, eco-conscious, home decor, Plywerk on November 27, 2013 by admin. Fortunately, we’ve simplified things for you. You don’t have to reduce your friends and family members to one specific interest. Because not everyone you know falls into the category of 'wine-lover' or 'fashionista' or 'urban lumberjack' (whatever that is.) We’ve got a one-stop shop for all your holiday needs. No matter who are you, or what your interests, Plywerk has something for you. 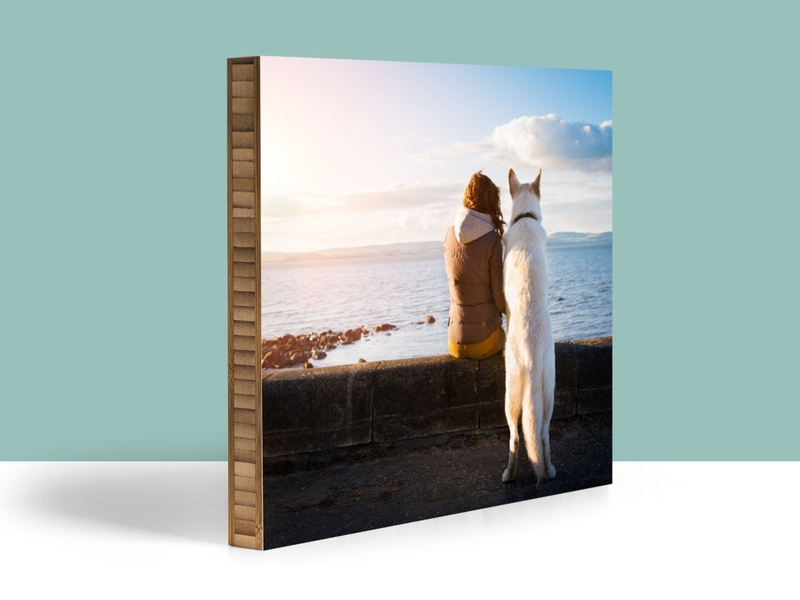 A Print on Plywerk: Our classic prints mounted on bamboo are a great eco-friendly gift for almost anyone. Give a personalized picture to anyone with a wall. Even a naughty child deserves a little Plywerk. Just give them a picture of coal. You’re sending a message but they still get a present. Win win! Merry Christmas to all! Blank Panel: Is there an artist in your family? Be their muse. Give them a blank panel to use as a canvas. It’s the gift of inspiration. And pressure. Maggie: This easily customizable frame is the best gift for that hard-to-shop-for person on your list. (Dads, we’re looking at you.) You don’t have to decide what they want. You provide the awesome frame and they decide what to put in it. Gift Certificate: Plywerk gift certificates are just right for lovers of photography as well as people who always return whatever you get them anyway. And remember. We can gift any order. For an additional charge, we can spruce up your order so it’s under-the-tree ready. This entry was posted in Holiday Gifts and tagged Bamboo photo mounts, eco-friendly holiday gifts, gifts for photography lovers, holiday gift guide, magnetic photo frame, photography, Plywerk, Prints on bamboo, prints on wood on November 26, 2013 by admin. An easy Christmas gift doesn’t have to be boring. We specialize in thoughtful, custom gifts. 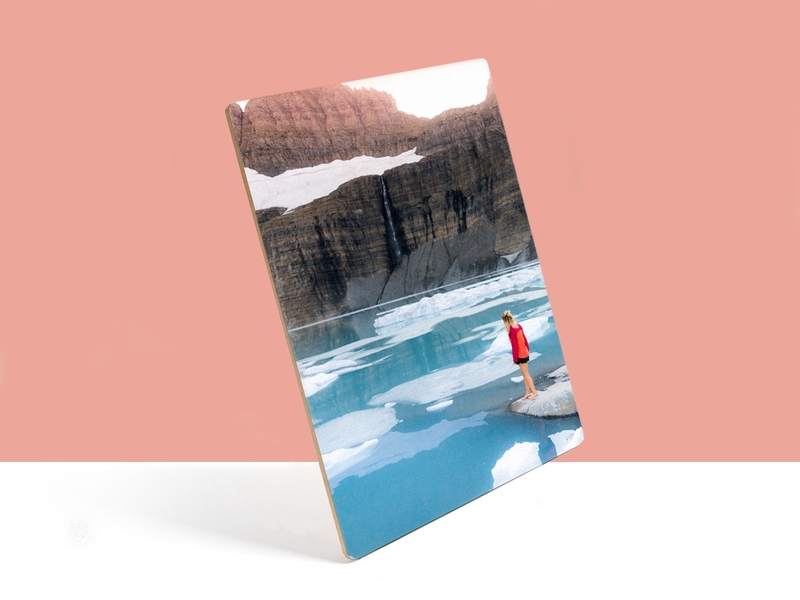 From our prints on Plywerk to our Maggie magnetic photo frames, every Plywerk product is unique and easy to personalize. And hold onto your Santa hats, because it just got easier. We know you never plan on waiting until the last minute to do all your Christmas shopping. But let’s say, it just happened. Probably because of the aforementioned change in the speed of the rotation of the Earth. So you’re scrambling. There are cookies to bake and presents to wrap. There just isn’t enough time to do everything that needs to be done. We can help with that. We want to save you time. And make you look good. That’s why we’re offering a new service, just in time for the holidays. For a mere $9.95 we’ll wave a magic wand and gift-ify your order. That way, once you pick the perfect present, your work is done. We’ll spruce up the packaging, tie it up with a red bow, and attach a card with a lovely handwritten note. You did it! You found the very best Christmas gift and now it will arrive in perfect gift-giving condition. You’re a hero. Christmas is saved. Your friends and family are lucky people. 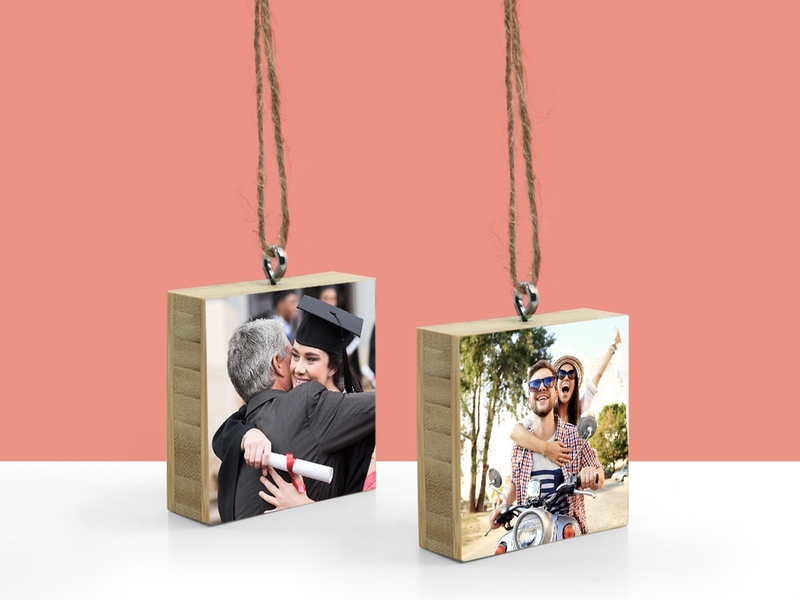 This entry was posted in Holiday Gifts and tagged Bamboo, bamboo frame, best Christmas gifts, custom photo gifts, easy Christmas gift, eco-friendly Christmas gifts, gift wrap, Plywerk on November 22, 2013 by admin. Are you having a hard time getting excited about another baby shower? Don’t feel bad. You’re not an awful person. We know you love babies. Babies are great. The miracle of life! Little bundles of joy! Tiny fingers and tiny toes! But buying the perfect gift for a baby shower? It’s not always so much fun. So try something new. Because baby shower gift ideas don’t have to be boring. And they definitely don’t have to be diapers arranged in the shape of a cake. If we know one thing about new parents, it’s that they take a lot of pictures. They are going to be documenting every precious moment and notable first. Why not help them preserve some of these memories? A Plywerk gift certificate is practical, and it’s even more fun than a diaper cake. When you give the gift of Plywerk you can ensure that some of those pictures get the proper respect. It’s easy to take thousands of digital pictures and upload them to a computer. But these days, most pictures don’t make it any further. So set a picture free! And we’ll make it easy for the new mom. With a Plywerk gift certificate, she just has to choose the perfect image. And there are certainly lots of contenders. We’ll take care of the printing and mounting and shipping. Now that perfect image is something you can touch. It’s something real. And it’s something that everyone can see. Our gift certificates are valid for a year from the purchase date. And since we email them within 1 business day, they’re also good for the last-minute shopper. If that happens to be you. A shower gift doesn’t have to come from a Target registry. Because sometimes the best gifts are the ones you don’t know you need. This entry was posted in Photo Mounting and tagged baby shower gift ideas, Bamboo art panels, bamboo frames, magnetic photo frame, Plywerk, Plywerk gift certificates, unique baby gift, unique shower gift on November 18, 2013 by admin. It’s holiday crunch time. Time to get serious about crossing names off your shopping list. And while we can’t actually do your shopping for you, we can offer you some sound advice. Don’t save stocking stuffers until the last minute! They’re one of the best parts of Christmas! Because there’s something extra magical about gifts that fit in a large sock. You want something that’s better than chapstick. And more personal than a gift card. Well, it’s your lucky day, because we have an entire line of Plywerk products that make excellent stocking stuffers for everyone in the family. 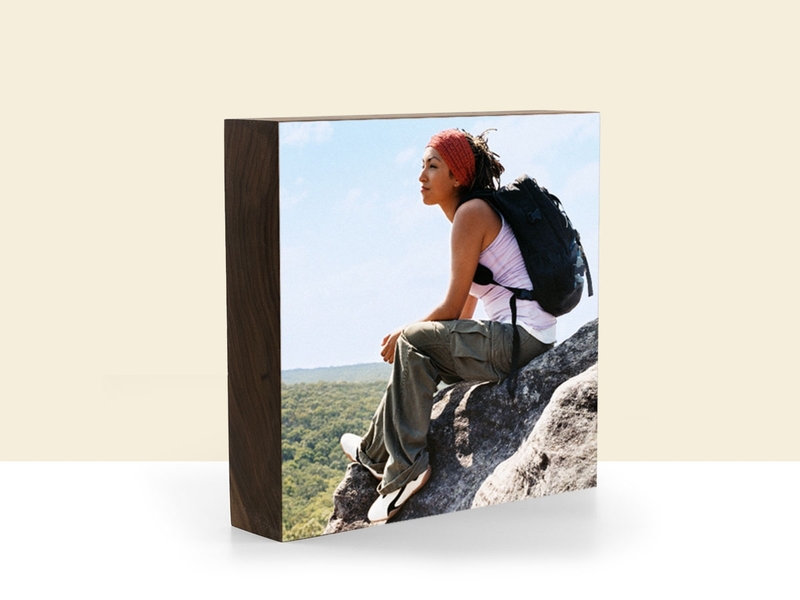 Stocking Stuffers for Women: Give her a Desktop Block with a memorable image from a fun vacation. Design a Fridge Magnet with an inspirational quote or a picture of Ryan Gosling. (Women love him, right?) Or how about a Photo Ornament with a family picture from last Christmas? Stocking Stuffers For Men: Know a dad? Give him a Plywerk Desktop Block (or two) with pictures of his kids for the office. Or how about a Photo Ornament that shows off his trusty dog? Or chinchilla. Whoever this man’s best friend is. Did he finish a big race last year? Turn a photo worthy accomplishment into a Fridge Magnet. Stocking Stuffers for Kids: Make a Fridge Magnet suitable for the kitchen or even a school locker. Take a picture of their favorite animal or a snapshot of their soccer game and let them hang it with Plywerk pride. How about their very own Photo Ornament that commemorates their first Christmas? Or maybe a Desktop Block with their name on it. It could make their desk a slightly more appealing place at which to sit. The possibilities are endless. Don’t wait until the last minute. But if you do, chapstick is still an acceptably practical stocking stuffer. This entry was posted in Holiday Gifts and tagged Bamboo photo mounts, holiday ornaments, home decor, magnetic photos, photo blocks, photo magnets, Plywerk, prints on wood, stocking stuffers for kids, stocking stuffers for men, stocking stuffers for women, unique stocking stuffer ideas on November 15, 2013 by admin. It’s November, and you know what that means. We’re right in the thick of decorative gourd season and Thanksgiving is just around the corner. Assuming your festive gourd displays are all in order, it’s time to get your holiday recipes lined up and ready to go. Now, we all know that most of the best Thanksgiving recipes are in the family of “things you put gravy on.” But it can be nice, and visually appealing, to throw some colorful autumn vegetables in the mix. If for no other reason, it adds a little variety to the meal’s color scheme. Brighten up your Thanksgving table with our favorite recipe. Preheat the oven to 375 degrees. Coat a 3-quart baking dish with olive oil. Toss all of the ingredients in a large bowl. Combine well and place in baking dish. Bake for 1 1/2 to 2 hours, stirring every 30 minutes, until the squash is tender and the top is lightly browned. Serve hot or warm. It’s a simple holiday recipe and the color will really pop on your table full of brown and white foods. In fact, it looks so good, you’ll probably want to take a picture. And who knows? You might decide to turn this beautiful squash into a Thanksgiving-inspired print on Plywerk. And while it might not be as popular as mashed potatoes and turkey this Thanksgiving, it will be one of the more attractive dishes. Besides, no one’s stopping you from putting some gravy on it. And gravy makes everything better. This entry was posted in Photography and tagged Bamboo, eco-conscious, holidays, Plywerk, Prints on bamboo, prints on wood, thanksgiving, thanksgiving recipe on November 14, 2013 by admin. Move over, oak. There’s a new floor in town. If you’ve been paying any attention to home remodeling trends lately, you’ve probably noticed the growing popularity of bamboo flooring. Bamboo is huge. And it’s not your grandmother’s hardwood floor! Actually, the joke’s on you, Grandma. Because bamboo isn’t even a type of wood. It’s a fast-growing grass. But you’re not installing a new floor because it’s trendy. And you’re also not trying to stick it to your grandma. Hopefully. There are actually a great many benefits to bamboo flooring. You probably know that hardwood flooring is pretty expensive. Bamboo is a much more affordable alternative. And don’t underestimate the power of grass - it’s harder than many “real” woods. Bamboo is also a green homeowner’s dream. It’s an eco-friendly material because of how rapidly it grows. Plywerk compliments modern home decor so well! Photo by Laurie Sachs Photography. And that reminds us of something else. Do you know what compliments your modern bamboo floor quite nicely? Some bamboo wall accents! Well it just so happens that you’ve come to the right place for those. Plywerk products add the perfect touch when you’re decorating your modern home. Whether you’re looking for some art that compliments your bamboo floor, or you’ve just decided that it’s time to upgrade some of your framed photos, Plywerk prints will do just that. Our simple, polished design looks great from every angle. So if you’ve already ditched the old carpet, go ahead and ditch the picture frames too. The future is now and it smells like bamboo. Don’t be afraid of change. This entry was posted in Eco-Conscious and tagged bamboo accent, Bamboo art panels, bamboo floors, Bamboo photo mounts, eco-conscious, home decor, home decorating, home remodeling, modern home decor, Plywerk, Prints on bamboo, prints on wood on November 13, 2013 by admin.